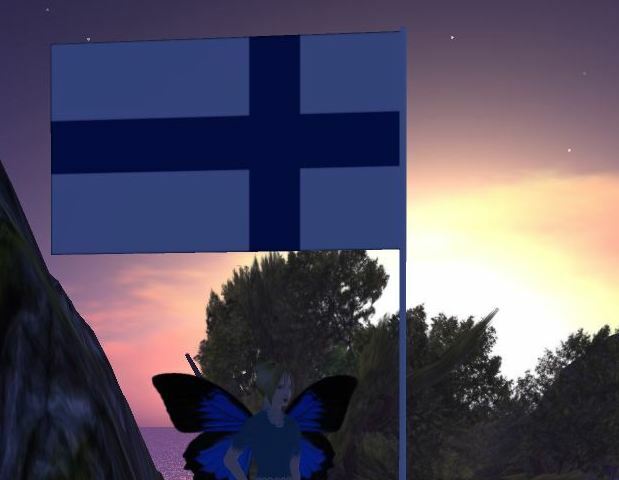 I started the Hypergrid Adventurers Club because I think the development of Hypergrid-enabled interconnectivity between Opensim grids is a beautiful and fascinating evolution. And in my experience, if you want to help cultivate growth and innovative uses of a new technology, it’s a good idea to do whatever you can to build a supportive community around it. Recently I noticed a very interesting phenomenon across the Hypergrid. On regions in areas that allow visitors to build or rez objects, some people are planting flags.